These easy, no bake snack recipes using organic breakfast cereal are perfect for when you want healthy snacks for your kids, but have no time or desire to bake! 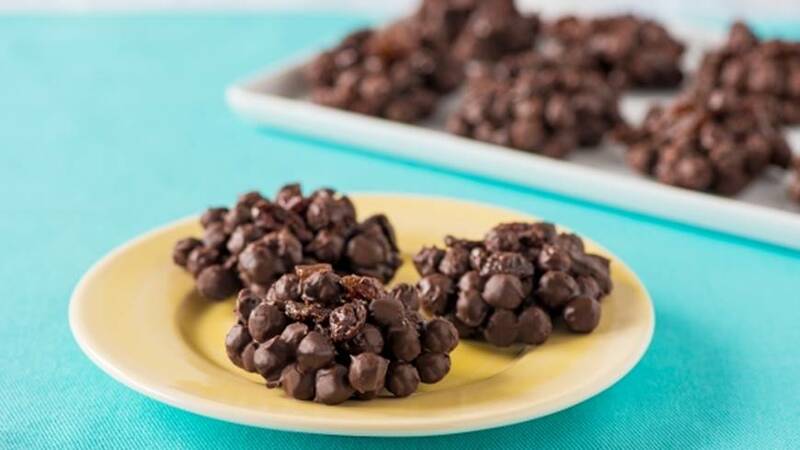 Thanks to Nature’s Path for sharing their smart snacking ideas! These fun and colorful treats are perfect for after-school snacks for when the kids come home. The simple quick treats take no time at all. The best part? You can use the rest of the box of cereal for breakfast! 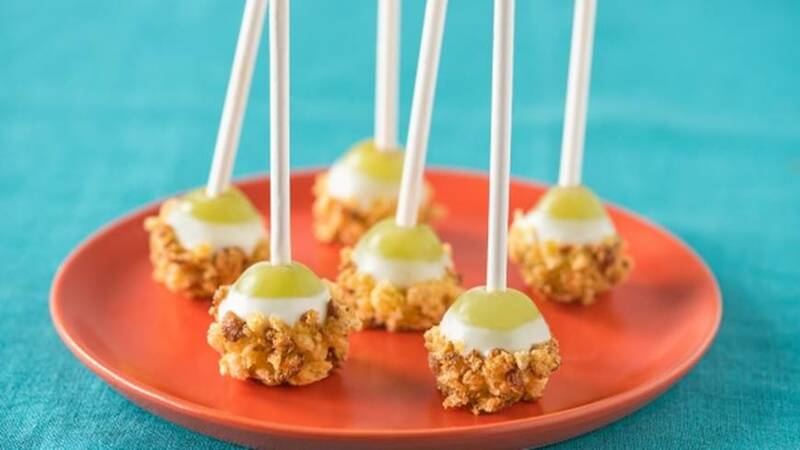 I love that these recipes use real wholesome food ingredients for a smarter no bake snack. Hint: No matter where you buy your ingredients, check out Ibotta! This free app saves you LOTS of money – and you’ll get a $10 bonus with your first instant rebate! 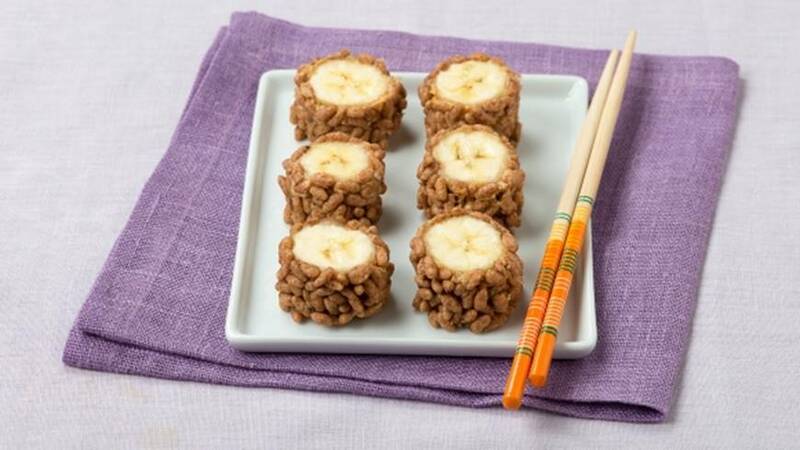 Check out these cute snack ideas that will sneak some nutrition into your child’s snacks to fuel them for the school year. Put cereal in a re-sealable plastic bag. Crush with a rolling pin, transfer to bowl. Insert a lollipop stick into each grape. In small bowl, stir together Greek yogurt and honey. Dip each grape into yogurt, then dip bottom half into crushed cereal. Stand on wax paper lined baking sheet, refrigerate for 10 minutes. Line two baking sheet with parchment paper; set aside. Combine chocolate chips, peanut butter and butter in large saucepan set over medium-low heat. Cook, stirring constantly for 5 minutes or until melted and smooth. Remove from heat. Immediately stir in cereal until well coated. Stir in apricots, cranberries and raisins. Drop into 2-inch rounds onto prepared baking sheets. Use a greased spatula or the back of spoon to flatten slightly into cookie shapes. Refrigerate for at least one hour or until set. Store layered, between sheets of waxed paper, in airtight container in the refrigerator. Trim the ends from the bananas. Spread half the peanut butter all over the outside of each banana. Roll each in the crushed cereal. Cut each into 6 rounds. Thanks to Nature’s Path for sharing these great recipe ideas! Check out their website for even more healthy recipes. Those all look so good. And totally not just for kids.. ha ha. I tried the peanut butter recipe and it is not kid friendly at all. It is very messy because when the kids try to put the peanut butter on, it doesn’t go on so easily and sticks to the hands more than the banana. Peanut butter can definitely be a challenging ingredient. Especially when applying it to any surface that’s not completely dry. It does help to pat down fruit with a paper towel to absorb any moisture, but peanut butter is always going to stick to hands (and the roof of your mouth!). Mariane, Is your niece allergic to sunflower seeds? There are some nut butter alternatives made with sunflower seeds. Be sure to read all the ingredients, though.